I’ll write Thursday’s post during the preview party on Thursday night, so you can read it on Friday. Friday, 3:15 PM. It’s not a good sign when I have the time to start writing my blog at a show. 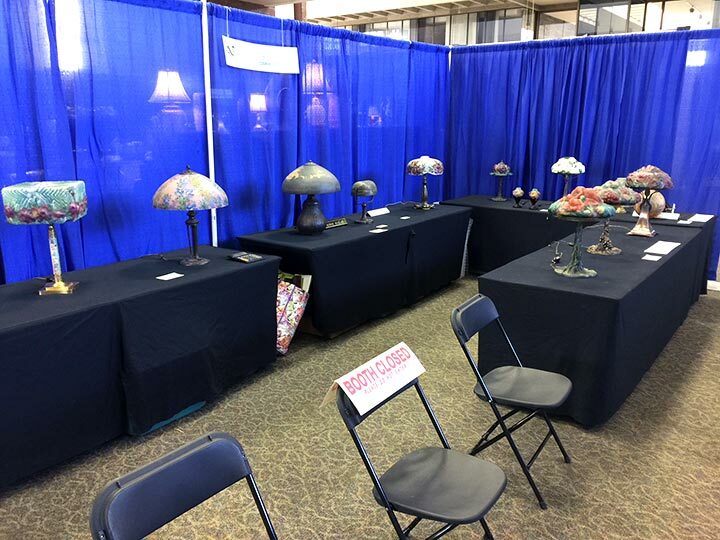 The show has been open for over an hour with a couple of serious inquiries, but no sales yet. Friday, 6:00 PM. 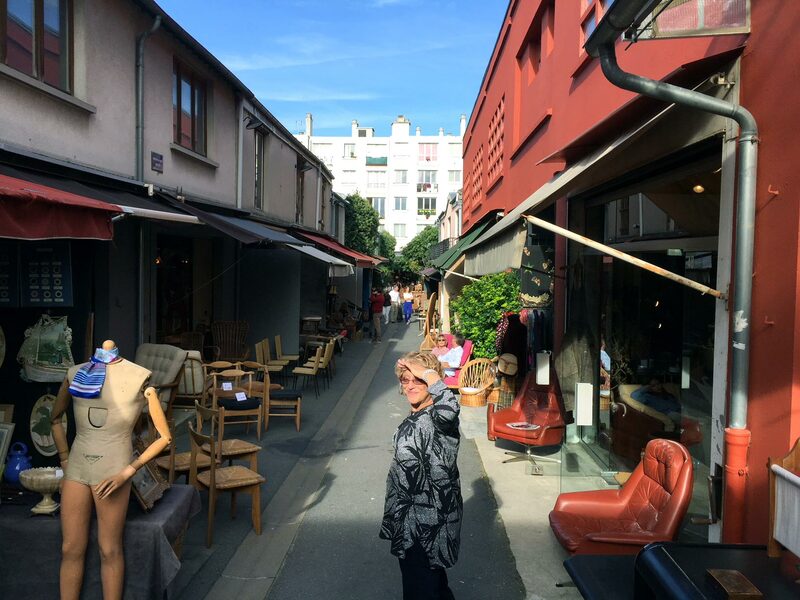 The day was dreadfully slow, with a couple of seemingly serious inquiries, but no sales. I’m not optimistic the show will go well, but hopefully business will improve over the weekend. Saturday, 2:00 PM. The show has been open for four hours. Attendance has been very light and there have been no serious inquiries. I hope this doesn’t turn out to be our first show ever with no sales, but that remains a distinct possibility. Saturday, 6:00 PM. 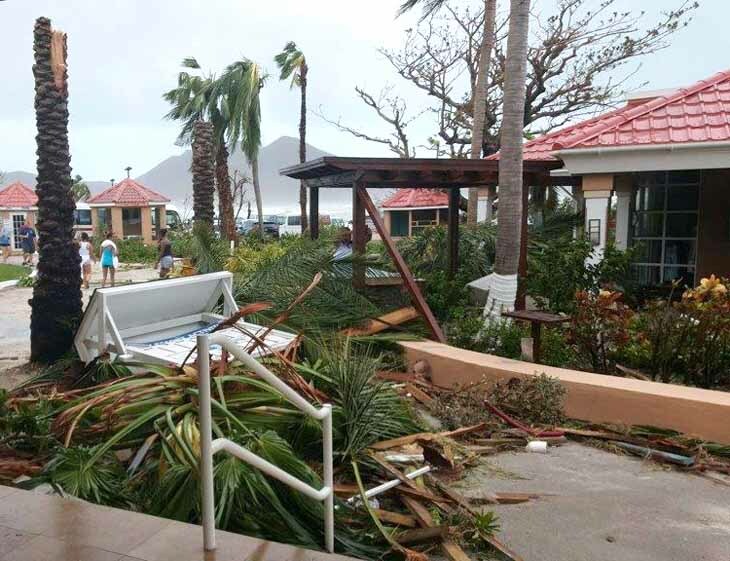 The show is closed today and so far it’s been a bust. There have been very few people in attendance and very little interest from those that were here. One lady is interested in a couple of paintings and promised to return tomorrow with her husband, so we’ll see if anything materializes. Sunday, 2:00 PM. We actually made one sale for $225, so this will not be our first show with no sales. Sunday, 4:00 PM. The show is over and the news is in. We will not be returning to Southfield, Michigan. That makes two shows in a row that we’re dropping. We have very few shows left. 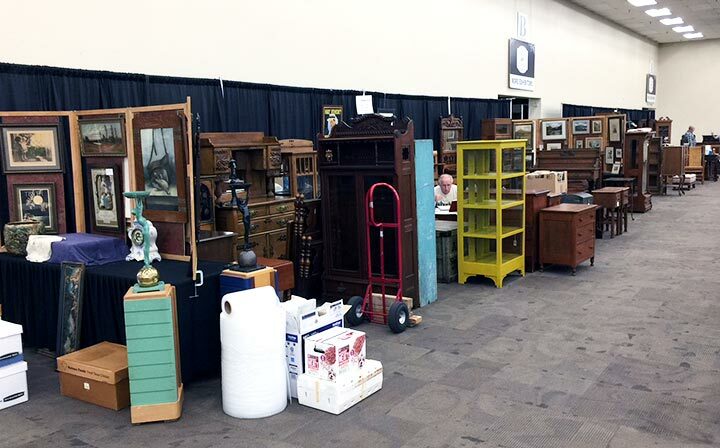 We made a decent sale in the afternoon, so now we’re losing less money, but the show was still a loss. Attendance at the show was poor, as were interest and sales. I wish the show promoter, Bob Bockius, the best, but I just don’t see how the show has much of a future. With such low attendance, there isn’t much chance for the dealers to do well, forcing them to drop out. Without enough dealers, there can’t be a show. I hope I’m wrong. 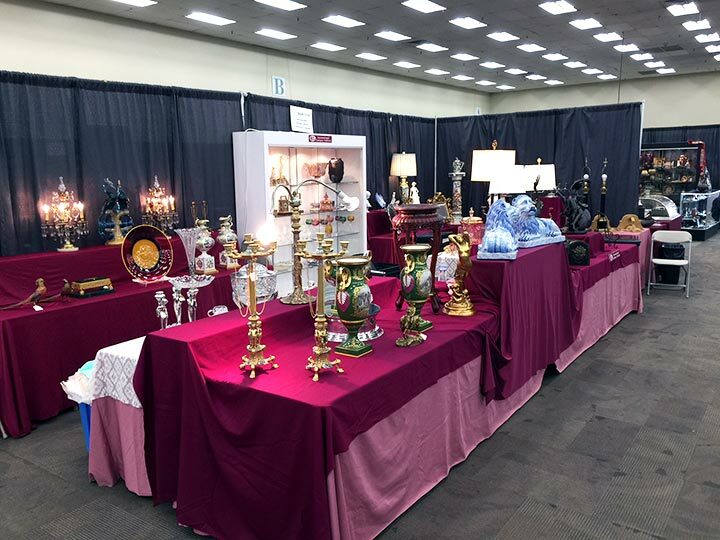 Now we’re off to Winnetka, Illinois for the Antiques + Modernism Winnetka show this week. We have great friends and clients in the greater Chicago area, so we’re happy to be returning. Thursday’s post will be up by noon. 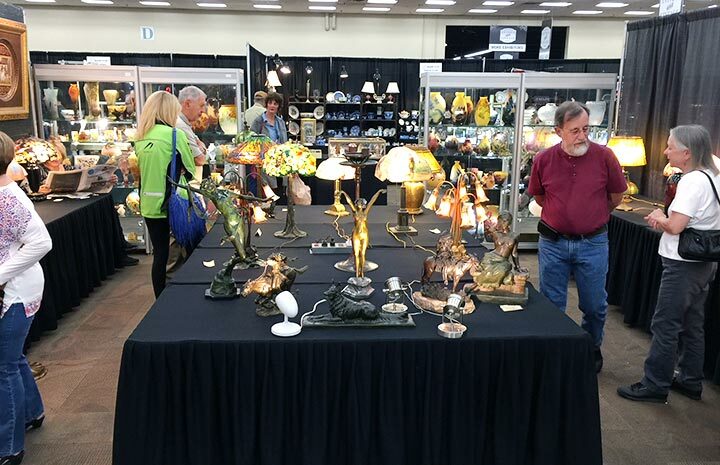 The Denver World Wide Antique Show opens to the public this Friday, October 20th, at 10 AM, and closes on Sunday, October 22nd at 4 PM. This will be the first time we’ll exhibit there in October. We’re finished with the Denver July show, so this is a test for the fall show. Very simply, if we don’t do well this week, it’s bye bye Denver. 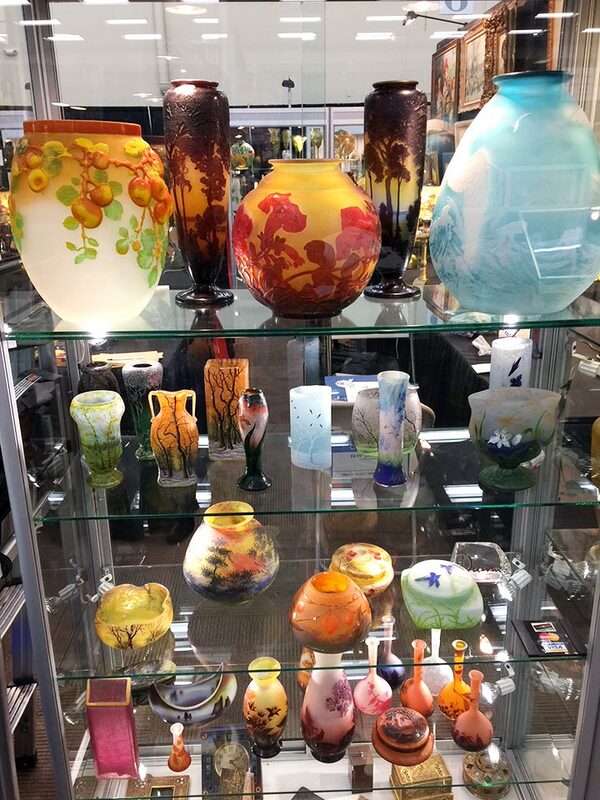 We’re bringing a fantastic collection of American and French glass and lamps, so if you’re a buyer in the greater Denver area, we’ll have what you’re looking for. 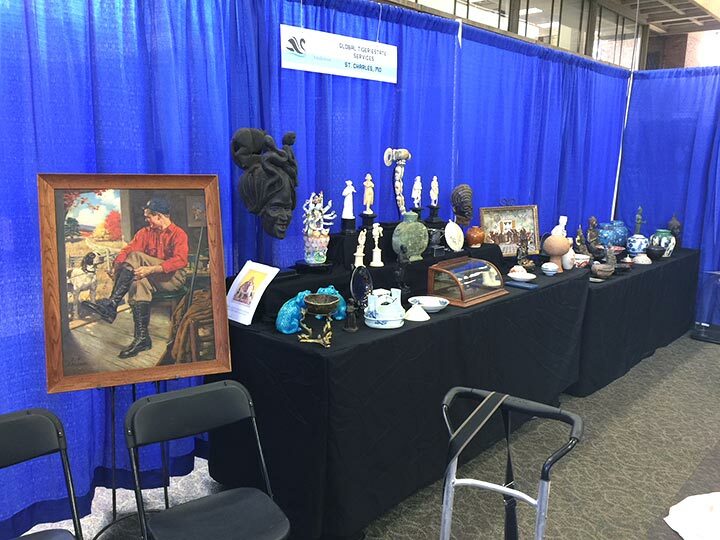 Come visit the show and consider making a purchase, especially if you would like us to return. 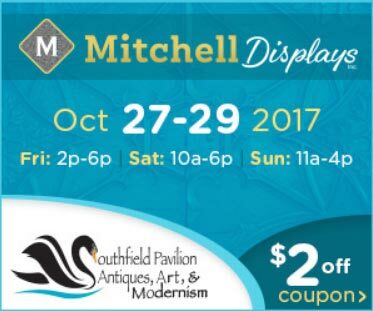 The following week we’ll be in Southfield, Michigan, for the Southfield Pavilion Antiques, Art, & Modernism Show. That’s another show that has to go well for us to return. 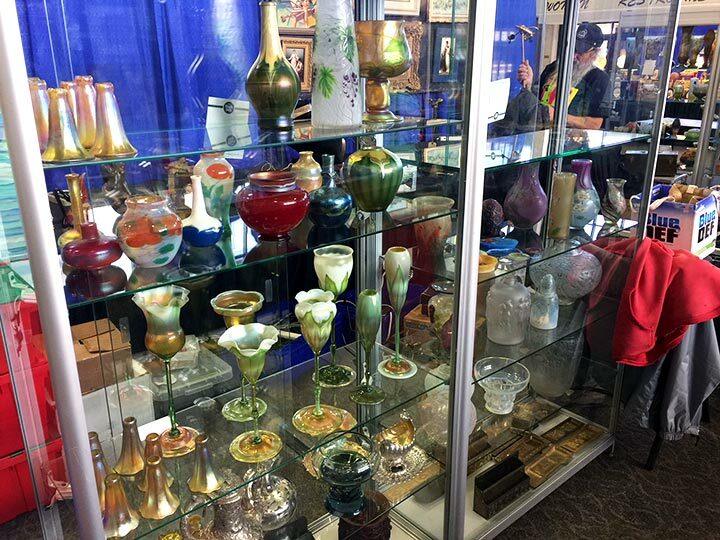 Then we’ll travel to Winnetka, Illinois the following week for the Antiques + Modernism Winnetka show. That’s one show we don’t have to worry about. We have great clients in the greater Chicago area, so we really look forward to it. 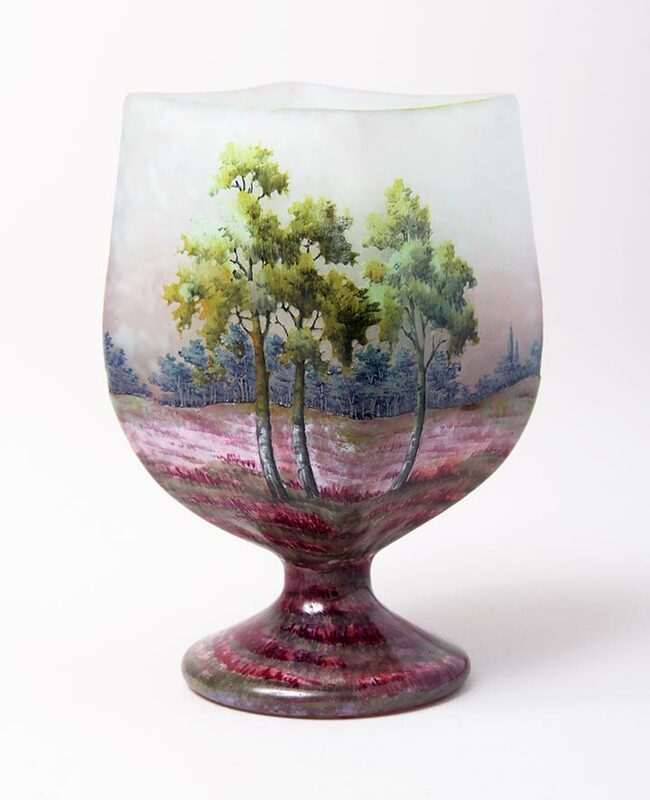 The French cameo glass market has been strong for many years. 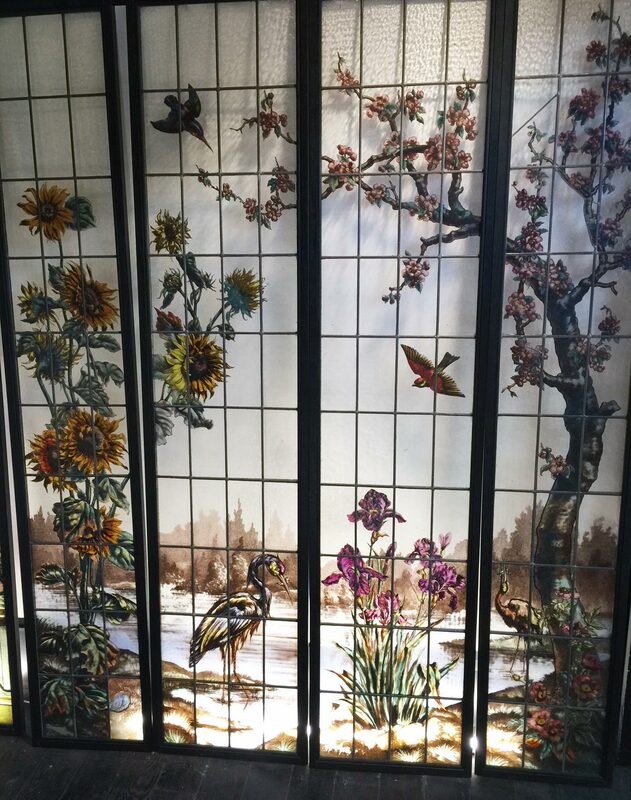 Daum Nancy glass, in particular, has excelled. Recently I’ve had the opportunity to both buy and sell some exceptional examples. Following are a few. Daum Nancy tumblers come in three sizes, miniature (about 2″), mini (about 3½”), and standard (about 4¾”). They also vary in shape from round to square to pinched diamond. All of them are quite popular among collectors. In the largest size, floral examples are the most common, with scenic examples moderately rare. So it was especially nice when I was presented with the opportunity to buy a fairly rare, and exceptionally pretty scenic example. I sold it before I could even list it in inventory or on my website. 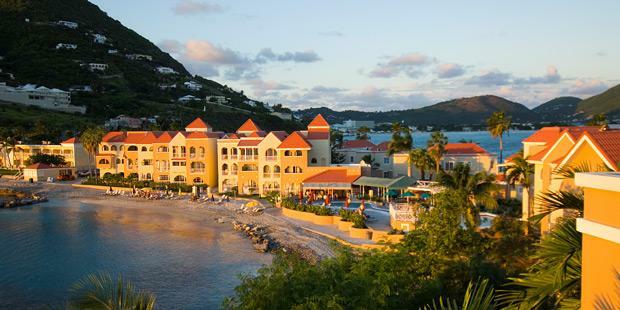 A client sent me an email inquiring about what I had that was small, new and pretty. This tumbler fit the bill, so out the door it went. By the 1920s, Daum was changing its style to the new Art Deco movement. 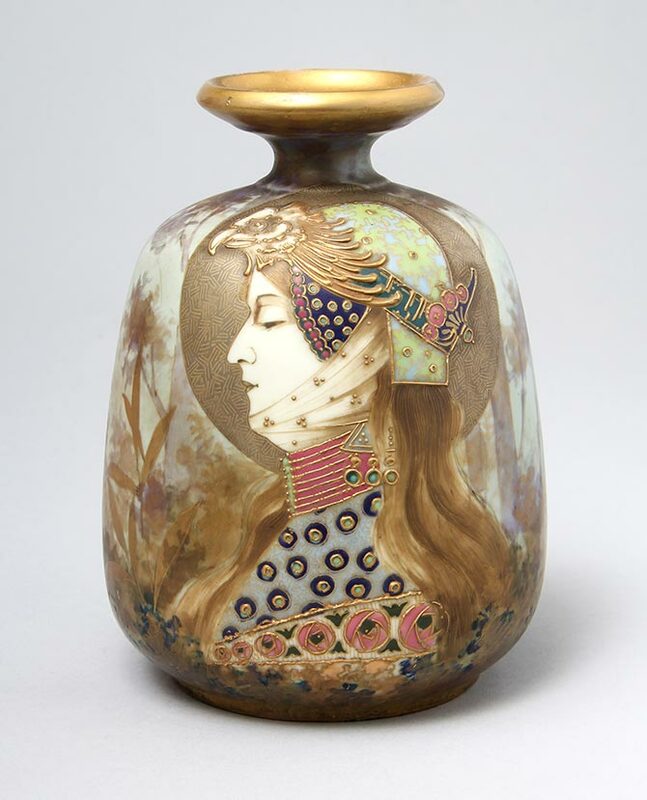 They started producing some vases with no acid-etching, but rather with applications that were hand-engraved by wheel-carving. 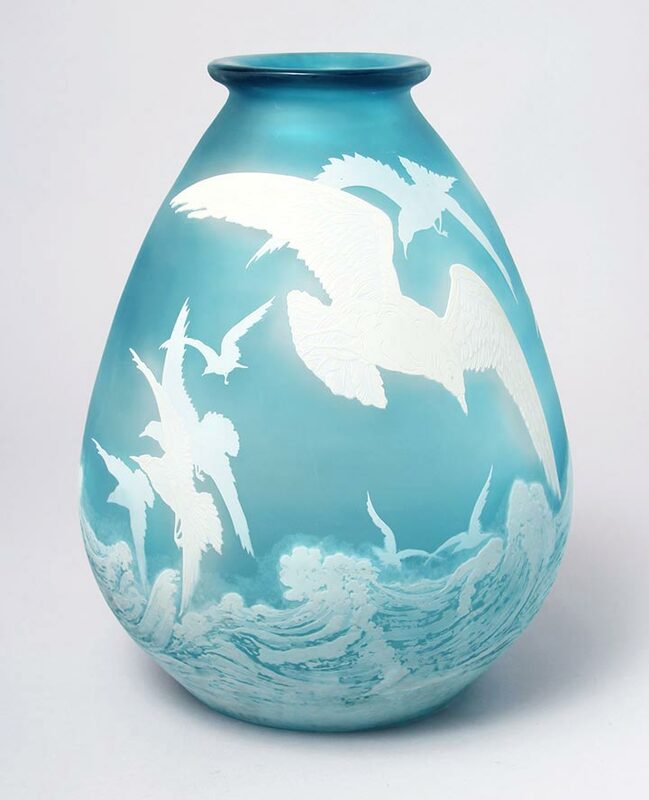 The example pictured above is exceptional, with an applied moth whose body looks like a seashell, and elaborately carved wings and martelé background in the body of the vase. 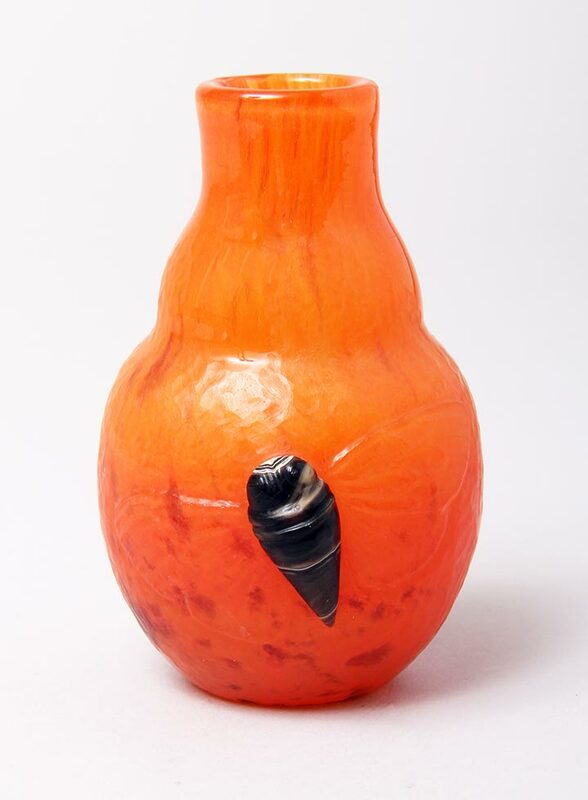 This vase was also sold immediately when I sent photos to my best client. No surprise there. The following two examples haven’t yet been listed on my website, but I am sending photos to a good client. They may be available by the time you read this blog or they may be sold. Please inquire if you have any interest. 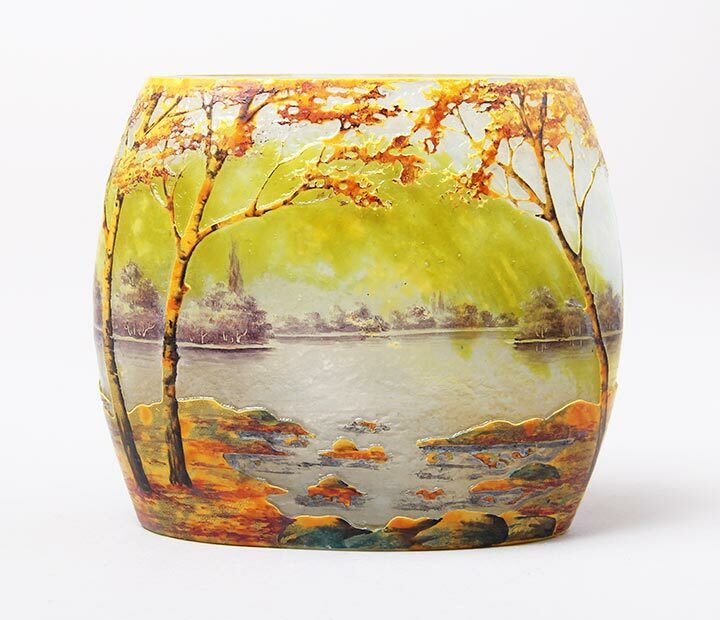 The first is a particularly beautiful scenic vase, in a rare shape, with a square mouth, 5″ tall. The color and detail are extraordinary, especially the red in the foreground. 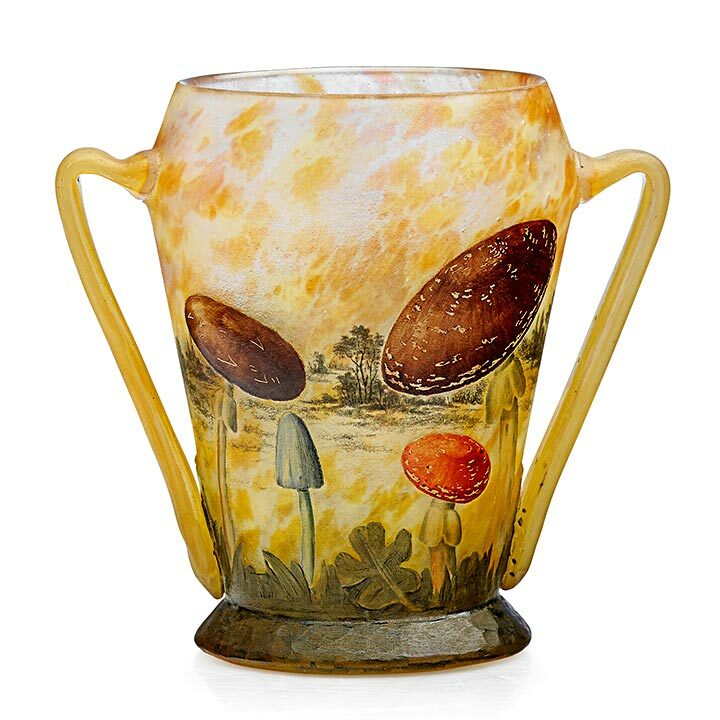 The second example is a Fall scenic, one of my favorite seasons, both in real life and as pictured on Daum Nancy vases. 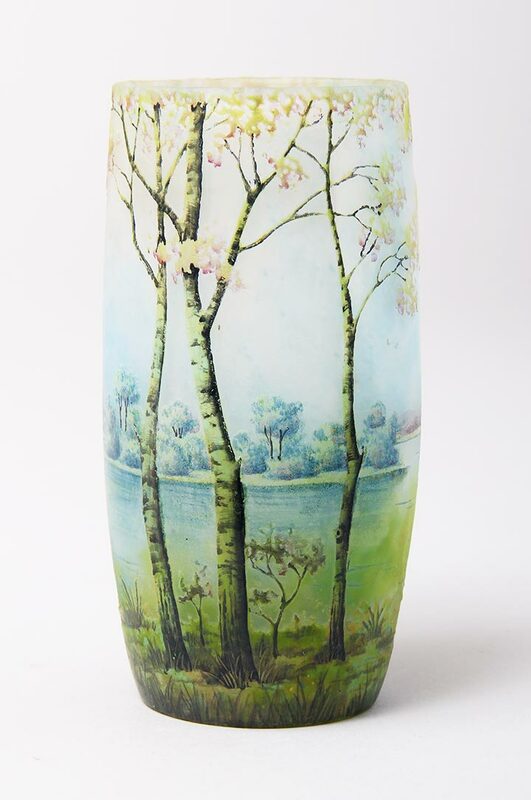 This is the second example I have of this vase, with the same season, size and shape. I’m partial to this example. The colors and detail are quite beautiful and different than usual. The greenish arc in the background is internal, giving the vase great depth. It’s also more transparent than usual, adding to the effect. It’s a stunning example. I hope to be able to add a number of wonderful examples of recent purchases to my website, but I’ve been so busy, it’s been hard to find the time. If you’re looking for something, send me an email. I’ll make the time to respond to your request. Our next show, in Denver, October 20-22, 2017, is fast approaching. We’re giving Denver one last shot to prove it’s worthwhile traveling all the way from New York. If the show doesn’t go well, goodbye Denver. 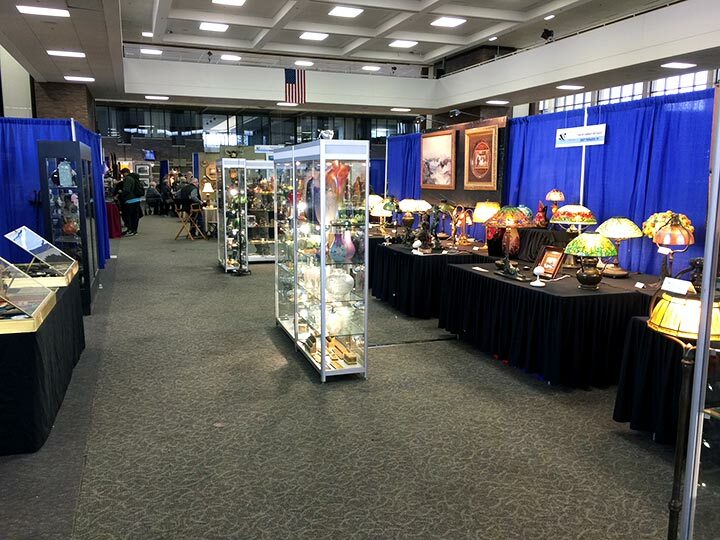 The following week we’ll be in Southfield, Michigan, for the Southfield Pavilion Antiques, Art, & Modernism Show. That’s another show that has to go well for us to return. 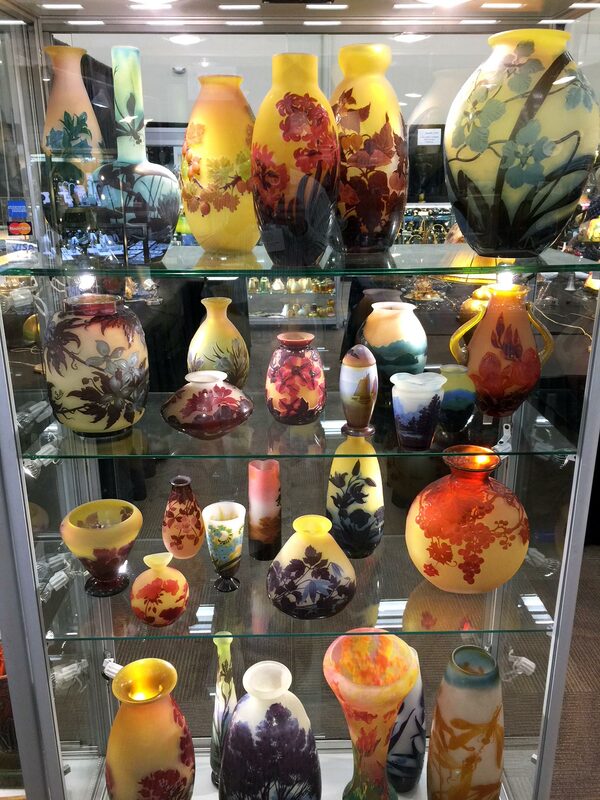 Then we’ll be in Winnetka, Illinois, the following week for the Antiques + Modernism Winnetka show. That’s one show we don’t have to worry about. We have great clients in the greater Chicago area, so we really look forward to seeing our old friends.